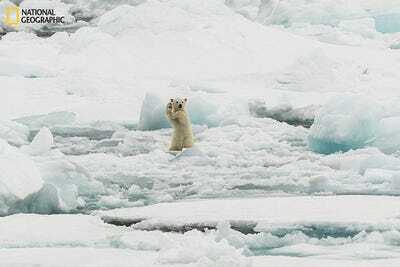 Steve Crisp/REUTERSEarth is a beautiful place. 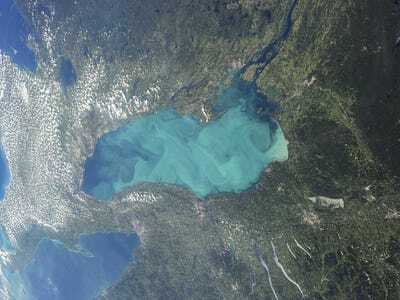 Seeing our planet from above can completely change your view of the world. Aerial photography offers a new vantage point, and helps show the spectacular beauty of our planet as well as the impact we’ve had on it. Reuters has rounded up the best bird’s eye view images taken by astronauts, satellites, helicopters, and passenger planes. From the Amazon Rainforest to the jagged coastline of Big Sur, these pictures will blow you away. 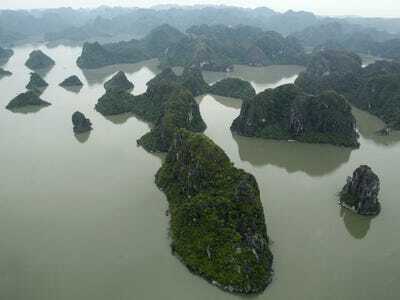 Ha Long Bay in Vietnam is seen from a seaplane in September 2014. Halong translates as 'where the dragon descends into the sea,' and the bay has over 2,000 islands. Mount Fuji, the highest mountain in Japan, is captured from above. 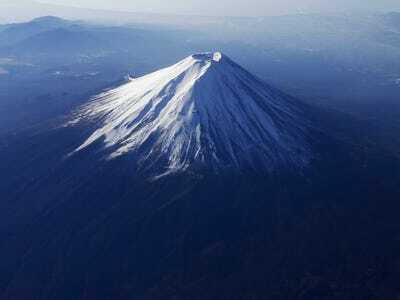 Mount Fuji has an exceptionally symmetrical cone, which is covered in snow for several months of the year. 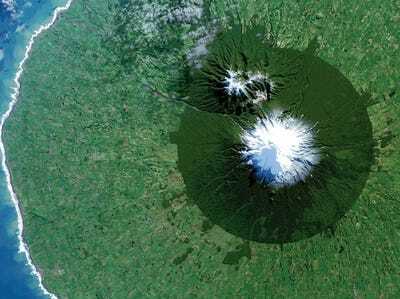 Landsat 8 satellite captured an image of Egmont National Park in New Zealand with Mount Taranaki at its center. The island is surrounded by once-forested pasture lands, and is now a protected area. 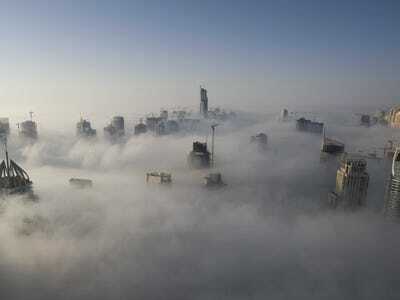 A thick fog descends over the Dubai Marina. 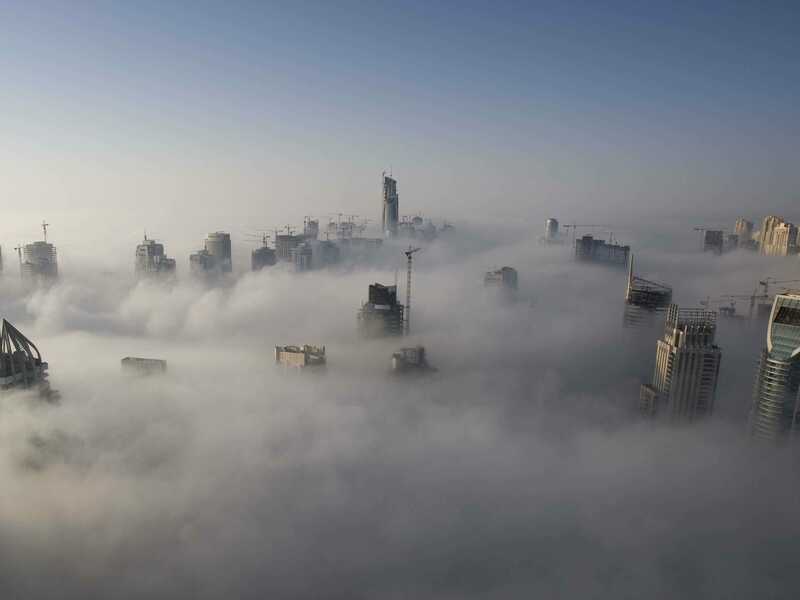 Heavy fog is quite common in the United Arab Emirates during the winters -- it often disrupts traffic and causes many flight delays. In the Pilbara region of Western Australia, a desolate road is shown next to sand dunes that are covered in vegetation. 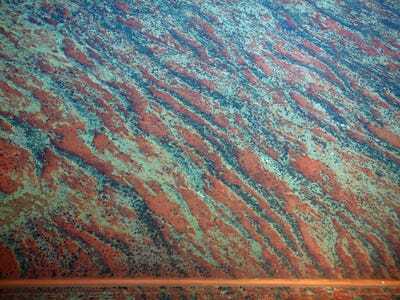 The Pilbara region has the world's largest known deposits of iron ore and some of Earth's oldest rock formations. 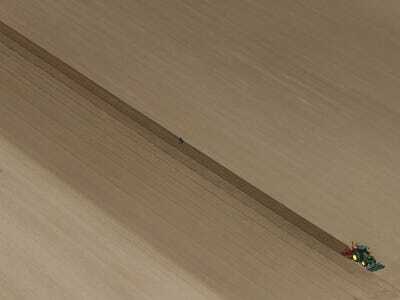 Here is the tallest man-made structure in the world, the Burj Khalifa in Dubai, shot from the sky. The Burj Khalifa is 2,722 feet tall. 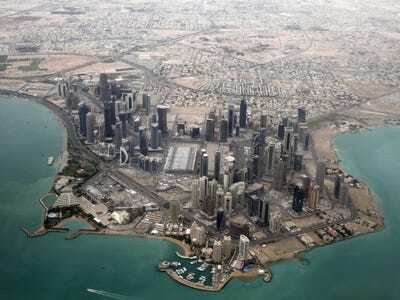 The diplomatic area of Qatar's capital, Doha, is seen from above. Qatar's large natural gas and oil reserves have helped make it the richest nation in the world. 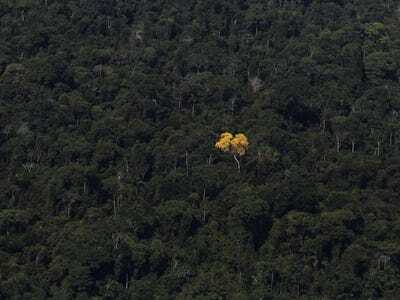 Near the city of Novo Progresso in Brazil, a ipe (Iapacho) tree is shown growing tall in the Amazon rainforest. A farmer is seen walking behind a tractor sowing a field in northern France in March of 2014. 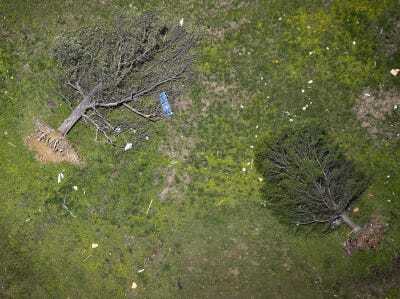 Uprooted trees are pictured after a tornado hit Vilonia, Arkansas. In April of 2014, a series of tornadoes touched down in the central and southern US, and left severe wreckage in many states. 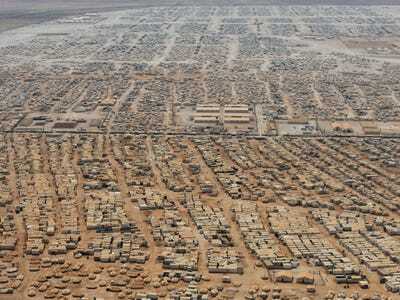 In the Jordanian city of Mafraq, there is a crowded refugee camp for displaced Syrians. The Zaatari refugee camp was first opened in 2012 to host Syrians fleeing violence from the civil war, but is gradually evolving from a temporary camp into a permanent settlement. 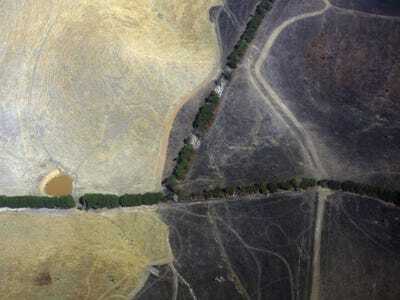 A small dam containing water is seen in Melbourne, Australia. 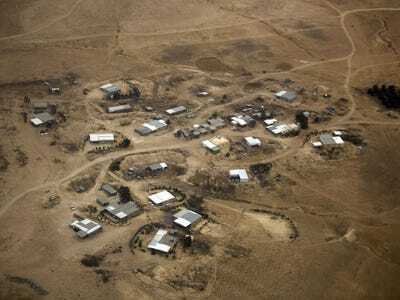 An aerial view of a Bedouin village in Israel. 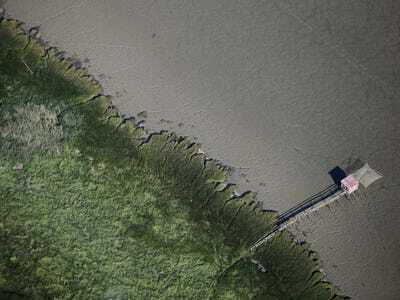 In the Loire Estuary in Paimboeuf, western France, a traditional fishing cabin and net are shown during low tide. Iguazu Falls, South America's largest waterfall, forms a border between Argentina and Brazil. 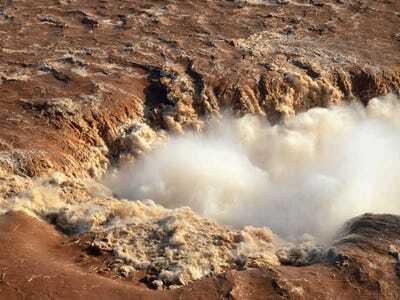 An aerial images of the falls in the Argentinian northwest province of Misiones is shown. 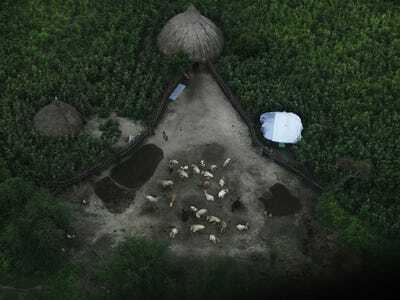 An aerial image shows a house in its compound in the small town of Leer in South Sudan. 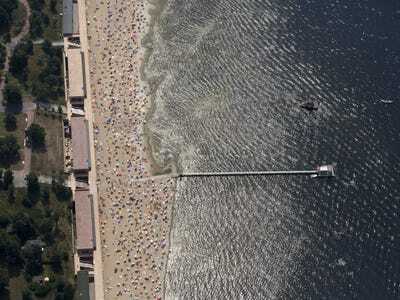 People sunbathe on a crowded beach near Berlin, Germany. 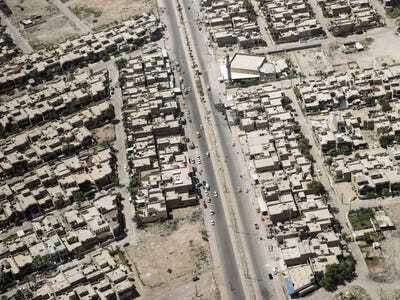 The streets and houses of Baghdad, Iraq are viewed from above. 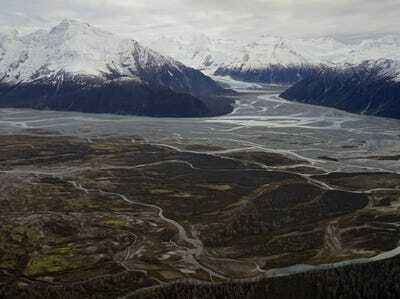 Tatshenshini-Alsek Park is seen during a flight over northwest British Columbia. 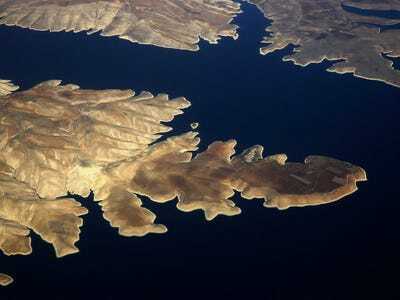 The Ataturk dam is captured from a passenger aircraft flying over the south-eastern Turkey province of Adiyaman. 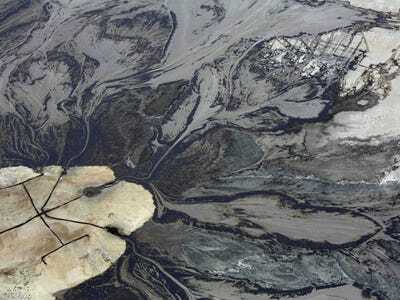 The Alberta tar sands are large deposit of oils in Fort McMurray, Canada. This image captures oil going into tailings pond at the Suncor tar sands operations. 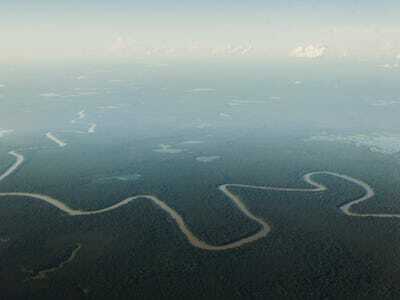 The Solimoes River is one of the main rivers that flow into the Amazon River. 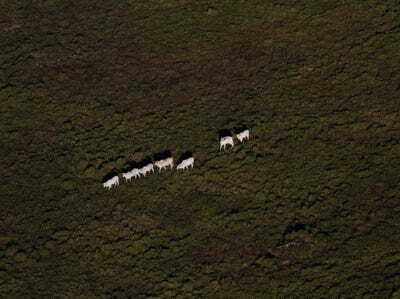 Farmers cleared a track in the Amazon rainforest for their cattle to walk through near the Novo Progresso in Brazil. 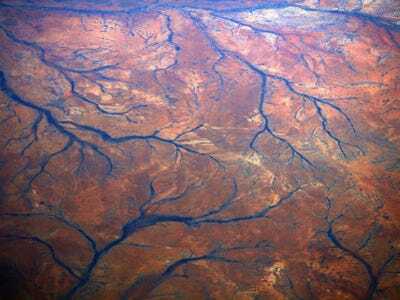 A view of the dried-up rivers in the Pilbara region of Western Australia. 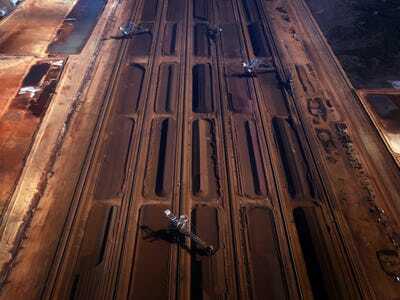 Bucket-wheel reclaimers move a large shipment of iron ore in the Pilbara region of western Australia. 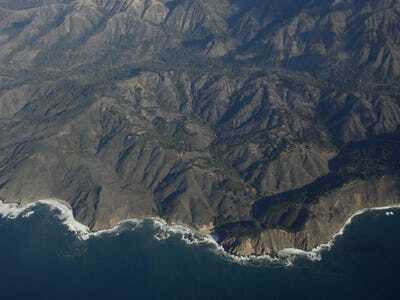 The jagged coastline of California's Big Sur is easily spotted from above. 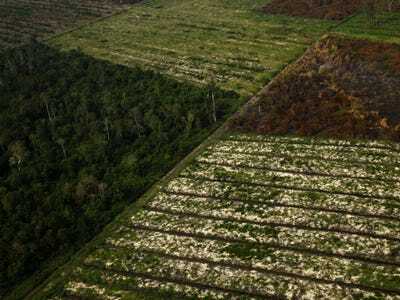 An aerial view shows parts of a forest that have been burned down in Indonesia's Riau province. Want to see some more stunning images?